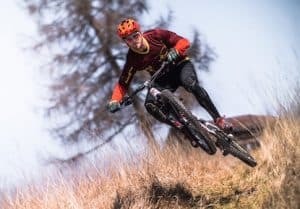 Mountain bike protection has come a long way over the past few years. 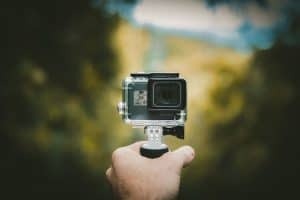 With the high protection, lightweight materials coming out of current technology, there’s really no reason you shouldn’t be wearing protective gear such as knee pads. 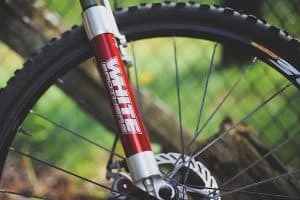 However we understand it can be a bit of a daunting process finding the right pair to suit your needs, so we’ve created this buyers guide, followed by some of our recommended products in the market, to help you in your search. If you're short on time, be sure to check out out top pick, the amazing G-Form Elite. Obviously the reason you’re wearing pads is to protect your knees. The protective layer itself however, comes in many shapes and sizes, each with their own pros and cons. More traditional, heavy duty downhill pads, will typically have a solid plastic layer for protection, while more lightweight options will have softer, more flexible padding. 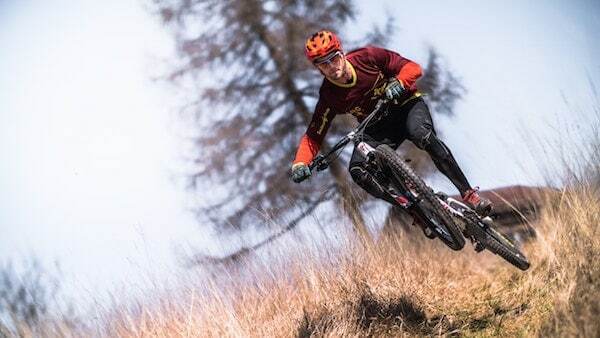 However some companies such as Race Face and G-Form use materials like D30 that are soft but harden on impact, meaning less bulk is required to get a good level of protection. At the end of the day, ideally you want a pair of knee pads that you forget you are wearing. Flexibility, weight, materials, and ventilation all play a role in making a knee pad comfortable, so it’s key to keep an eye out for these features. Most pads will be made with a combination of lycra for flexibility, mesh for breathability, and of course some kind of protective material at the impact areas. 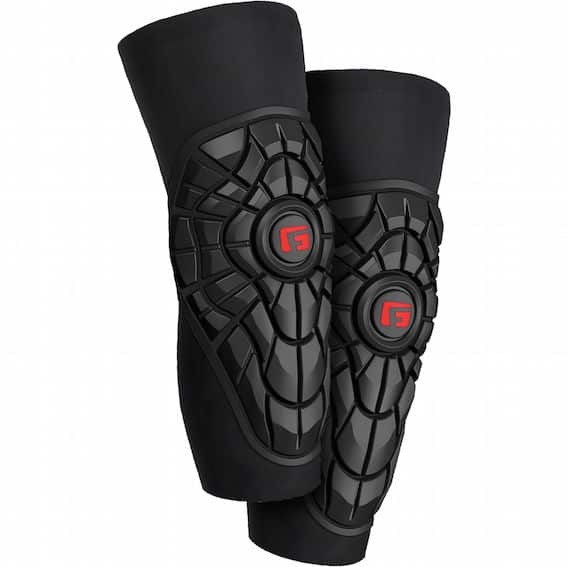 The Elite Knee Pad from G-Form is a high-end piece of protection gear, aimed at riders who want to make an investment in their protection and comfort. Utilising G-Forms industry leading impact-absorbing (RPT®) pads, the Elite remains fairly low profile while providing superior protection. A longer sleeve ensure stays in place throughout your ride, while a mesh backing helps ventilation and wicks moisture away from your skin. The Elite pad is CE 1621 Level 1 certified, the highest standard for motorcycle joint protection. One of the most popular knee pads on the market, the Ambush is made with D30, a flexible material that becomes rigid on impact. They are lightweight, super comfortable, and offer high protection for a variety of riding styles. Further, with open back construction, you can put on and remove without taking your shoes off. 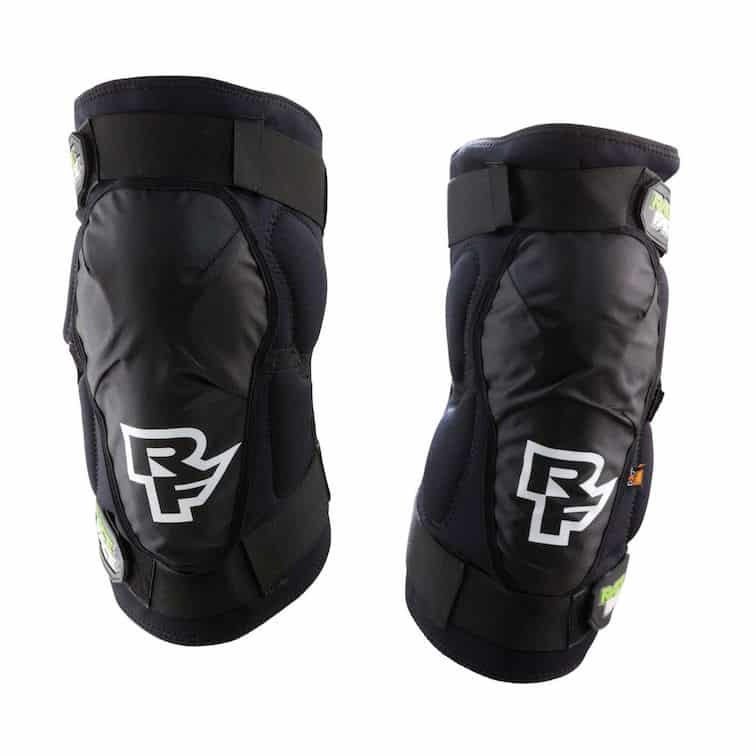 Another super popular knee pad, the Trail Skins are low profile, ultra-lightweight, soft, and comfortable. 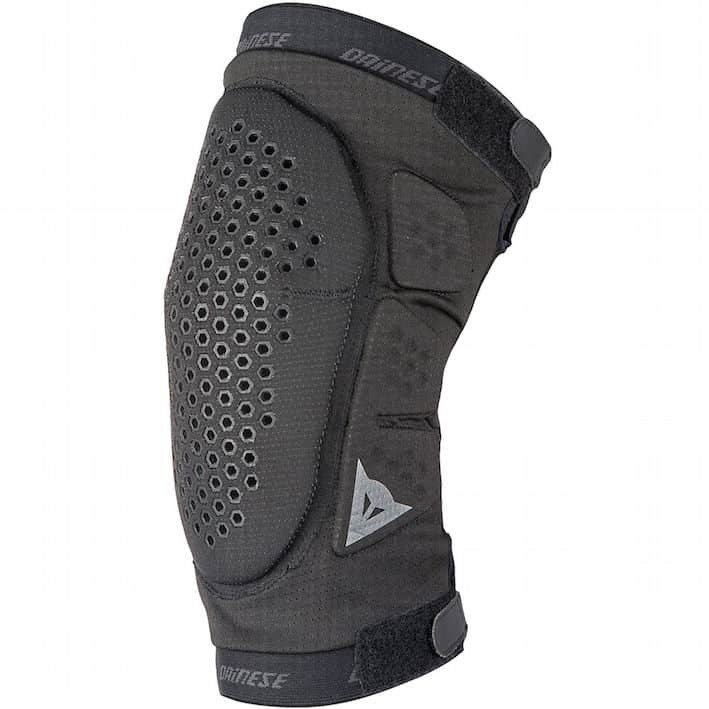 Utilising Dainese’s Crash Absorb® memory foam technology, these pads still provide ample protection, perfect for riders who want all-day protection without sacrificing on flexibility and comfort. 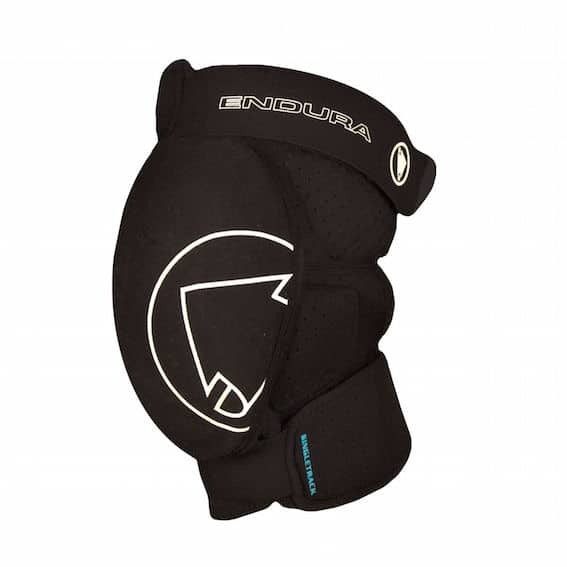 The Endura Single track knee pads are a flexible, soft-shell option, designed for comfort. Memory foam inserts provide protection that moulds to your body, while a soft terry lining adds to comfort against the skin. Similar to the Race Face Ambush, these pads feature a fully opening design, meaning there’s no need to remove shoes when taking them on and off. 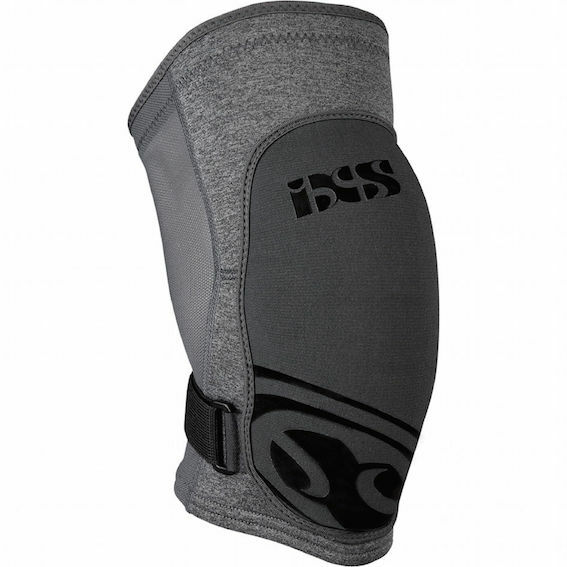 ​The Flow Evo+ knee guard from iXS is another set of super thin, light and comfortable pads. Created with IXS’ Xmatter protection foam, these pads provide high impact absorption without compromising on comfort. They are moisture wicking, breathable, and anti-bacterial, and their thin design means you can throw them in your backpack when not in use. If we could only pick one pair of pads we’d go with the G-Form Elite due to their superior protection and comfort. 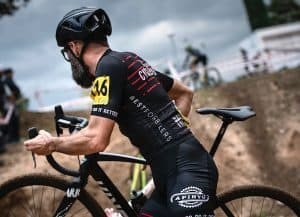 However we appreciate they are on the pricier side, so consider the Race Face Ambush another stand-out option, especially if the price of the G-Forms is a concern.